The Kardashians are closing their fashion boutiques, showing that even celebrities can't dodge the retail downturn. Kim Kardashian West and her sisters Kourtney and Khloe opened their first Dash store in 2006 in Calabasas, California. Outlets in Los Angeles, Miami and New York followed later. The brand spawned its own spin-off TV series called Dash Dolls which followed employees working at one of the stores. Kardashian West said the decision to shut the stores after more than a decade was "bittersweet". She said on her website that Dash had been "such a huge part of our lives" but did not explain fully why the stores were being shut. "We've loved running Dash, but in the last few years, we've all grown so much individually," she wrote. "We've been busy running our own brands, as well as being moms and balancing work with our families. "We know in our hearts that it's time to move on. We love our Dash Dolls and are so grateful for the amazing memories." The 37-year-old thanked Dash employees and their customers for their support. 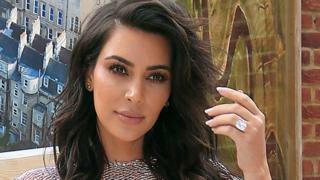 Late last year, Kardashian West announced the launch of her beauty brand, selling cosmetics and fragrances on her website, along with a range of children's clothes. US retailers have been grappling with the rise of online shopping, with the likes of Toys R Us collapsing last September weighed down by debt of about $5bn. It had more than 700 stores in the US. Fashion retailers J. Crew, Abercrombie & Fitch, Gap, Banana Republic have closed hundreds of US stores in the past couple of years, while department store chains Macy's, J.C. Penney, Sears and Bon-Ton have also shut dozens of outlets.